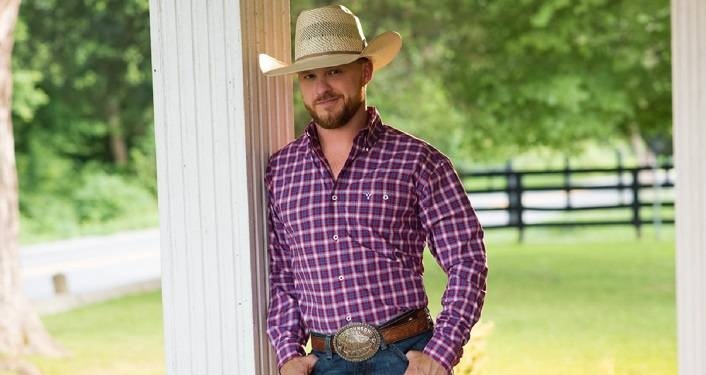 Breakout country music star Cody Johnson will perform at The Backyard Stage at the St. Augustine Amphitheatre on Thursday, April 11, 2019. Growing up in Sebastapol, Texas, Cody Johnson heard music from the honky tonks across the Trinity River. He learned drums and guitar and started writing songs while still in junior high. A teacher encouraged Johnson to form a band, and they finished first runner-up in a Texas State Future Farmers of America talent contest. Much like one of his heroes, the late Chris LeDoux, Johnson hit the rodeo circuit and made his first album during that time, selling self-financed CDs from his pickup as he chased the elusive eight-second dream. Broken bones and the cost of competition took their toll, and he eventually ditched life as a rodeo pro who played music on his off days to become a prison guard in Huntsville who played clubs on the weekends. The crowds began to grow, and he pieced together a string of hits on the Texas music charts. Plus, he snagged the Texas Regional Radio Music Award as Male Vocalist of the Year. His wife, Brandi, shocked him when she agreed he should go after music as a full-time job. Fast-forward to 2016. After landing two releases in the Top 10 of Billboard’s country albums chart on his own CoJo label, selling 74,000 tickets for a single show, and earning recognition as the only unsigned artist in history to sell out NRG Stadium at RodeoHouston, Cody has become one of Texas’ most sought after talents, eventually leading him to sign with Warner Music Nashville after deliberating several major offers. Johnson’s passionate, rowdy concerts have already drawn comparisons to Garth Brooks, and the music from his previous albums, inspired by ‘90s country foundations, but built for the 21st century, has made him a familiar presence on Texas and Oklahoma red-dirt radio.